Hoon did he speak to? I’m trying to work out which constituency party members Geoff Hoon had the “conversations” with, which prompted him to launch his coup. In Central Lobby the other day Hoon was adamant he’d not spoken to potential leadership candidates or other rebels, and claimed it was chatting to people in Ashfield that led to his decision. The thing is, members of the Ashfield Constituency Labour Party also have no idea who Hoon spoke to, according to the Nottingham Evening Post. 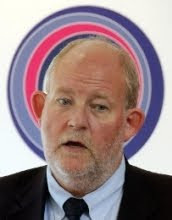 The people who count – the former Labour leader of Notts County Council and the Ashfield Labour district councillor – all seem as angry at Hoon’s cack handed plot as everyone else. Perhaps it was the guy that empties the office bins or the canteen lady? Surely it couldn’t be that Hoon wasn’t utterly candid when he said he was acting independently from any other Westminster rebels or people in Government? Don't tell him yer name Pike! 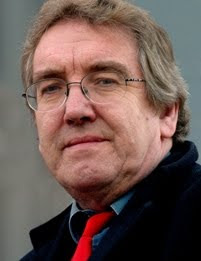 LD was chatting with serial Labour rebel Alan Simpson about the “plot” which he was suitably scornful of. He said: “What astonished me was the incompetence and disorganisation of this latest attempt on the leadership. “Poor Geoff seems to have emerged as the Captain Mainwaring of failed coups – there is no point in shouting ‘charge’ if you haven’t lined up the troops to go with you. “I wasn’t involved simply because there was no wider involvement. It’s obvious there is dissatisfaction within the party, but everyone knows that half a coup is worse than no coup at all. Notice the nuance of his last line. He points out that Downing Street has actually benefited – the door to a future more organised leadership challenge has been shut because this particularly incompetent one has been spiked early on. It would be high conspiracy theory to suggest that Downing Street might actually have had something to do with the failed coup. 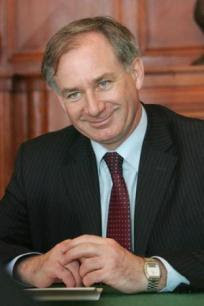 But if Geoff Hoon happens to pick up some sort of cushy post-politics position in the future then remember this blog. What I am certain about is that Hoon is a man that doesn’t do anything without getting something. First they said they would implement Sir Christopher Kelly’s recommendations. Then they said they would pass them to Sir Ian Kennedy to implement. Now Sir Ian is passing them to, er, us. Earlier I toddled over to pick up a copy of Sir Ian Kennedy’s expenses public consultation document. Sir Ian is asking “the people” about which of Sir Christopher Kelly’s recommended changes to the MPs’ expenses system should be brought in. First of all let me say this – if ever there was a pointless layer of faff, this consultation is it. Can somebody not just make a decision? Secondly Sir Ian is actually asking people to comment on his own version of Kelly’s proposals – some of which he has watered down. These include allowing MPs in the home-counties to claim travel expenses – under Kelly’s plan they would have been excluded. Furthermore, Kennedy says Parliament should decide whether MPs have to repay capital gains arising from taxpayer-funded homes (i.e. let’s allow the Turkeys to vote for Christmas). Kelly said the decision should be made by a regulator. This whole thing is totally unnecessary. 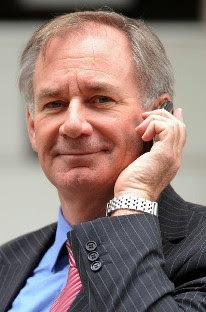 Although he won’t confirm it, a lot of people reckon Geoff Hoon has decided to stand down at the next election. I’ve had that as a strong tip from someone in Labour before today’s shenanigans. As we know Hewitt is already standing down. That suggests neither have anything to gain politically from challenging Brown now – which is odd. Until one realises that they also have nothing to lose – which would make them a good front for a wider plot. Most MPs have said there is no such plot, but some who could be considered to be “waverers” on Brown’s leadership claim to have had conversations with others in which they say their support was elicited. Certainly there are those who might even welcome a contest. Nick Palmer MP told LD today: “If there was a clear and attractive alternative then I would make a decision at that time. This was leaked to Lobbydog - an email from whip John Heppell to Hoon after the story broke. See how he mocks Hoon's own email by signing off in the same way. I can only imagine you have taken leave of your senses. God knows what harm you have caused with your indulgence. I am sure your view is not shared by the majority of the PLP or ordinary party members who you arrogantly assume should have no say in this process. I am sure there will be no appetite for your proposed distraction and it will disappear as quickly as your credibility. And all as things seemed to be calming down a bit for Gordon. I knew David Taylor, who died after a heart attack on Boxing Day - he was among the good ones. MPs paid tribute to him in the Commons earlier - the first sitting of the House since his death. "We often joined David for dinner in the dining room where not least I was a recipient of his robust advice on what we’d got right, which was usually a brief part of the conversation, and what we needed to do better, which was quite a lengthy part of the conversation." If we sent warships over to Iceland last time we had a bust-up about fish in the 1970s, what are we going to do now that we’re arguing over billions of pounds? The Icelandic President refused this morning to sign a bill that would see cash handed to UK depositors whose money sank when Icesave went down. The nation’s PM has since said the money will be paid but it seems a referendum may have to be held. 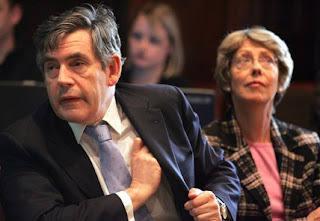 The whole situation could now present one of those “events, dear boy, events” opportunities for Gordon Brown. If he limply states, without getting results, that Iceland must carry-out the EU’s will and hand the money over, it will make him look immeasurably weak. 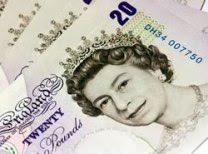 But if a large part of the cash can be salvaged and the PM can make it look like he had something to do with it, there will be a lot of grateful depositors and he’ll be able to claim to be a fixer. And it all comes right at the start of an election campaign – good stuff. I return today to find Parliament beginning 2010 tackling the hefty matters of state head on. Events taking place in these very buildings will leave the British public debating the finer points of fiscal responsibility, immigration control, Shilpa Shetty’s wedding and… wait a minute. I’m afraid it’s true – not two days into the parliamentary session Keith Vaz MP is squeezing the dignity out of the mother of Parliaments by hosting a wedding celebration for the Bollywood actress here, whom he describes as a “close friend”. Vaz will probably also find something to talk about with Shetty’s new husband the millionaire businessman Raj Kundra.